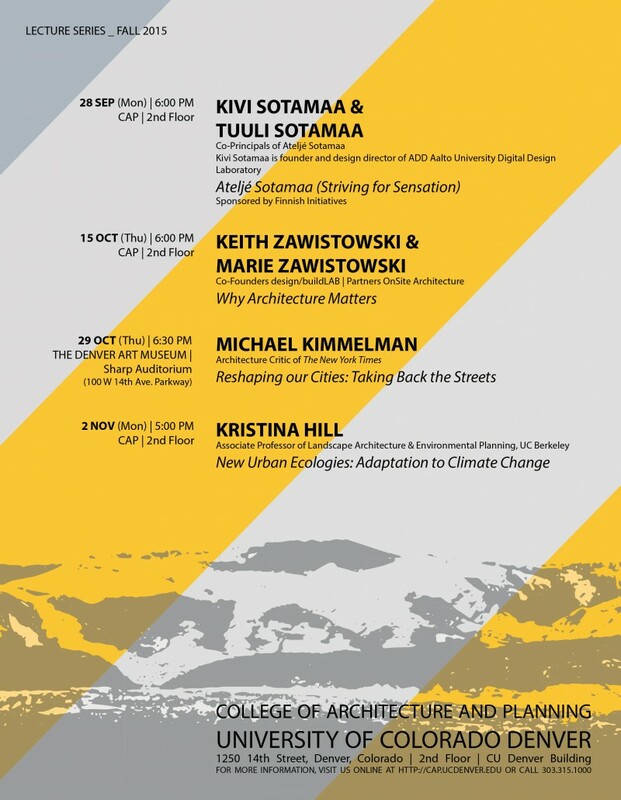 Group X’s member Kivi Sotamaa is lecturing at the College of Architecture and Planning, University of Colorado Denver, next September 28th at 6:00 pm. Kivi Sotamaa is principal of Ateljé Sotamaa, and founder and design director of ADD Aalto University Digital Design Laboratory. The title of the lecture is “Ateljé Sotamaa (Striving for Sensation)”, and it is sponsored by Finnish Initiatives.